Transcreation Vs. Translation | What's the difference? Transcreation vs. Translation – what are the differences? Transcreation and translation are two terms which interrelate on many levels, although the processes and final outcomes are different. Understanding what the specific differences between transcreation and translation are wouldn’t be possible without fully understanding what these terms mean independently. ‘Translation’ is a term generally known and understood and much easier to explain from the two. Although there are many different types of translations, such as literal, human or machine – the term generally describes, quite simply, conveying text from one language into another. Because language is a nuanced and non-binary entity with a number of different layers, and because often there isn’t a right or wrong answer when it comes to translation, it is possible for two linguists to convey the exact same text differently, whilst both remaining accurate and correct. Usually, the more abstract the text is, the more variations for its translation there will be. A great example of an abstract text which may be translated differently by different linguists are poems. Filled with emotions and personal interpretations, poems might be read and conveyed in a number of ways, all of which correct. On the other hand, user manuals are a type of text which doesn’t give the linguist a wide angle for interpretation and so it will be translated literally most of the times. If you require the translation of mixed content, it’s wise to approach a translation agency which is able to offer varied language services covering a number of different sectors, as this will allow you to streamline your work and speed up turnaround times. Nonetheless, translation will always refer to conveying text from one language into another, regardless the particular translation methods within the translation process itself. As you can see, the definition of ‘translation’ is pretty straightforward. But what exactly is ‘transcreation’ and how does it differ? ‘Transcreation’ is a blend of two words – translation and re-creation and also often referred to as ‘creative translation’. Whilst translation strongly focuses solely on the meaning of individual words and tries to find appropriate interpretation closest to the original term, Trancreation gives the linguists more freedom as it focuses on the complete message intended behind the text rather than specific words within the text. 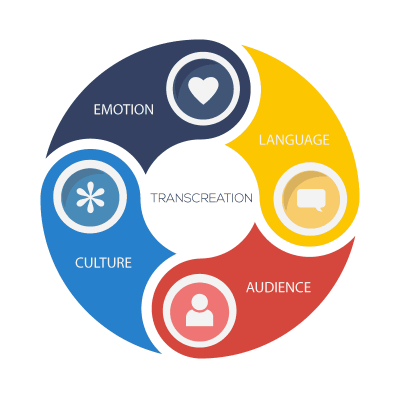 Transcreation usually considers a number of different aspects, such as language, emotions and cultural and socio-economic factors, which may contribute to how the intended message is perceived by the target audience. For that reason, transcreation is most commonly used to convey marketing messages and materials. Transcreation Services are today at the very heart of any successful multilingual or cross-country marketing campaign. When linguistic, emotional and cultural factors are all equally important to effectively deliver a brand’s message & successfully adopt it to different markets, simple translation may not be sufficient. Interestingly, transcreation services not only consider text, but also other elements of the marketing materials, such as colours and images and alter them accordingly in order to suit target audience. A great example of how transcreation can be used is Red Bull’s campaign for the Chinese market. The energy drink giant transcreated their entire brand in order to appeal to the Chinese consumer. This involved not only altering their text slogans, but also brand colours and visuals, including packaging. 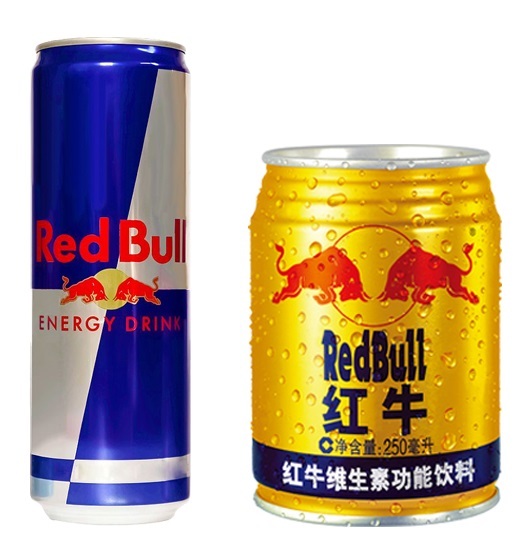 Today, the Chinese version of the drink comes in red and gold cans, as these colours symbolise prestige and luck in China, consequently influencing consumer behaviour and brand perception. Another great example of a successful transcreation is Intel’s campaign. The computer manufacturer altered their slogan ‘Sponsors of tomorrow’ which makes perfect sense to the English-speaking consumer, but when translated into Portuguese implies that Intel won’t deliver on their promises immediately. Consequently, the original message had been transcreated to ‘In love with the future’, which although worded completely differently to its original, carries the same statement and value, which lets Intel keep their consistent branding across different markets. As you can see, the main difference between transcreation and translation is the freedom a linguist or language agency has in order to ensure that your message is appropriate and appealing for the target market. Whilst translation works perfectly fine for technical and legal documents, marketing materials, such as websites, brochures and other branding elements which consist of and are affected by a number of different aspects, should be transcribed by a specialised company. Is the U.S market a natural expansion step for UK based companies?